Surfing. The adrenaline-filled water sport everyone loves, yet few dare to try without a gentle nudge by their surfer friends in the right direction. With every passing year, though, this adventure sport is becoming increasingly popular around the world, and has become an excellent pastime activity for people of all age and genders. In fact, shallow water surfing has become a thing as well, with children able to take an early step into the world wave-riding. So wherever your next holiday destination may be, whether you’re visiting the sunny shores of Australia or the honey-hued beaches of America (North and South), you’re bound to find excellent surfing spots you shouldn’t skip! Here to help you kick off your surfing adventure just right are the top five things you should know before you hit the waves. At first glance, the cool surf bro way out may seem like he’s not breaking a sweat balancing on his surfboard, but you can be that he is using every muscle in his body trying not to fall head first into the water. Surfing is a tough workout, you know, so it’s a good idea to get yourself in shape before you try the real thing. A simple gym routine focusing on balance and strength should suffice, but if you’re not inclined to spend time in the iron jungle, you can always opt for some endurance training in the outdoors such as cycling, running, and a couple of good old push-ups thrown in the mix. This will also teach you to warm up properly, which will prove to be extremely important before you hop on your surfboard. Much like with any new challenge in life, the way to overcome it quickly is to follow the right steps and not try to cut corners. Even if you’re already an avid swimmer, don’t assume that paddling while lying on a surfboard is easy. Instead, take the time to find your balance when you hop on, and then find your rhythm by paddling evenly, making sure to reach deep into the water with your palms. Keep your eyes fixed forward and use your legs to stabilize the back end of the board. By far one of the most important things a new surfer should be thinking about is the type of board they should get. There are plenty of options to choose from, but as a beginner, you want to look for durable models such as Firewire surfboards that are built for performance, but are also able to withstand the heavy beating of those long practice sessions. Remember, a good surfboard can make or break your run, so don’t just opt for any old board in the shop. 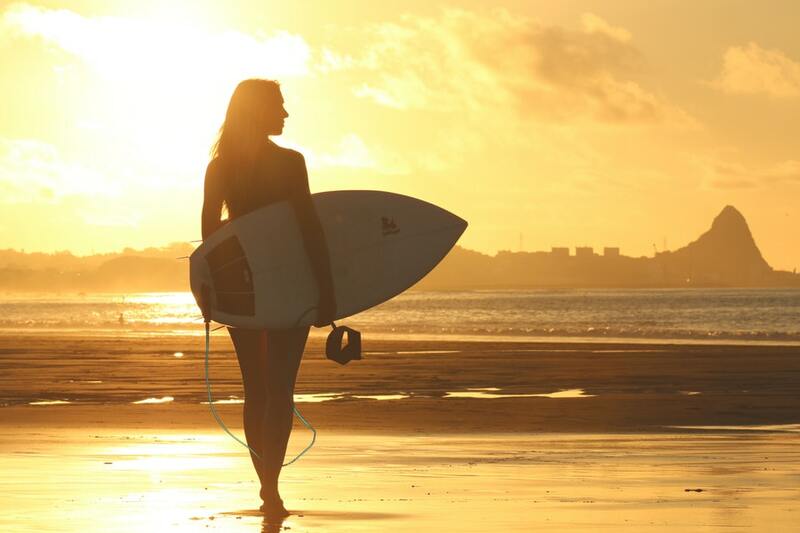 For many, surfing is a way of life. And believe it or not, surfing has become a culture in itself, and as such, it has its written and unwritten rules and etiquette. It’s a good idea, therefore, to learn the surf lingo before your first run – it might come in handy. But more importantly, it’s important to stay mindful of your surroundings at all times, and respect your fellow surfers, making sure you don’t drop into another surfer’s wave. Catching your first wave will require a lot of trial and error, but it doesn’t mean that you shouldn’t practice the steps and movements in your head beforehand. So as you’re paddling out, focus on keeping the nose of the board down. Once you’re about 10 seconds away from the wave, turn the nose towards the beach, and start paddling. Let the wave pick you up, and hold on. Once you feel confident enough, you can slowly start standing up, keeping your feet firmly planted on the board. Congratulations, you’re ready for your first surf run! Remember to take your time, and don’t lose hope if the first couple of runs don’t end up quite the way you imagined. If you stick to these essential tips, though, you’re bound to master the fine art of wave-riding in no time.